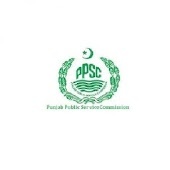 Lahore, Punjab Public Service Commission will recruit Junior Auditor in Lahore High Court against the existing posts. The candidates have already sent their application forms and their written exams will be conducted very soon after receipt of the call up letters. The written exams of the eligible candidates will be conducted in time and the qualified students will appear in the typewriting test.